The 12-man lineup of Gilas Pilipinas that will face team Iran in 2019 FIBA World Cup Asian Qualifiers is finally revealed. The Samahang Basketbol ng Pilipinas via PBA official twitter account has posted the 12-man roster who will play against the team Iran tomorrow in the Mall of Asia Arena. Looking at the new lineup, it appears that our beloved Gilas Pilipinas has made a major roster shake-up. Of course, the loss against the team Kazakhstan probably is one of the major reasons why the adjustment is needed. Prior to the start of the fifth window of the 2019 FIBA Asian Qualifiers, coach Yeng Guiao already made public that the naturalized player versus the visiting Iran squad will be Christian Standhardinger. With big-men in the international basketball tournament are used to sprinting, Gilas has decided to replace Greg Slaughter. Along with him who got replaced are JP Erram, Alex Cabagnot and Stanley Pringle. Along with Standhardinger other replacements are Arwind Santos, Jayson Castro William and Troy Rosario. When the national team visited team Iran last September 13, Castro wasn’t available as he was nursing an injury. Although Pringle leads Gilas in scoring against Kazakhstan, having Jayson William back in the lineup it can be treated as an assurance that he can take over the scoring slack. Considering how experienced William in international competition and was even named as the Best Point Guard in Asia. 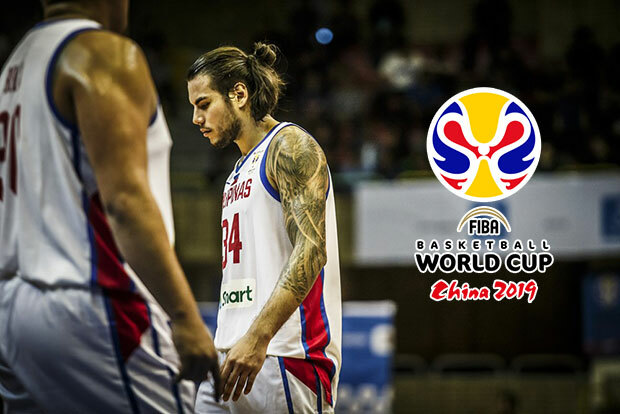 Standhardinger was also the leading scorer for Gilas in their last September 13 outing. He dropped 30 points and 12 rebounds against the mighty Iranian squad.